The diabetes epidemic is growing and shows no signs of slowing down. What can you do to avoid prediabetes, diabetes and other chronic illnesses related to high sugar consumption and blood sugar problems? 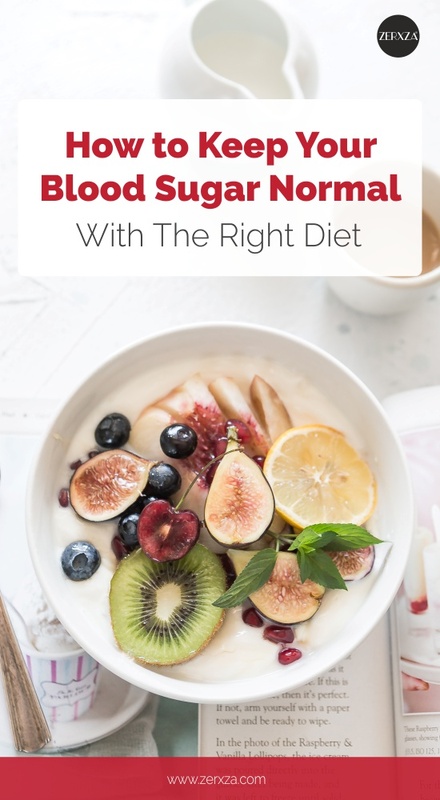 Today, we’re talking about the best diets to keep blood sugar normal, and most importantly, to keep you healthy. According to the CDC, more than 100 million U.S. adults are now living with diabetes or prediabetes. And it’s estimated by 2050, one-third of all Americans will have diabetes. What makes these statistics even direr is that scientists estimate that the world may experience an insulin shortage in 2030, putting the health and safety of millions of individuals at risk. There are so many reasons why you would never want to end up with prediabetes or diabetes. Complications of diabetes include skin problems, vision problems, high blood pressure, and even nerve damage, not to mention weight gain, and increased risk for cardiovascular disease. Even though diabetes is a common disease, it’s important to go back to the basics about diabetes, particularly type 2 diabetes, in order to understand why diet matters. Every time you eat, but especially when you eat carbohydrates, your blood sugar goes up. This makes sense. You eat carbohydrates, they get broken down into glucose molecules (sugar molecules), and then, they enter the bloodstream. It’s not healthy to have high levels of glucose in the blood. So, once your blood glucose levels start to rise, the pancreas starts to produce a hormone, called insulin. One of insulin’s main jobs is to instruct the cells to take the sugar out of the bloodstream and carry it to the cells that need it. This is what happens in a healthy person. But when an individual has a diet high in carbs and follows this diet for a long time, blood glucose levels stay elevated. This forces the pancreas to work overtime, constantly producing insulin so that blood glucose levels can go back to normal. The only problem is that when the cells are constantly hearing from insulin, they just stop listening. Think of it like a parent who always nags their kids to pick up their toys and put them where they belong. After a while, the kids start to ignore their parents. When cells start to ignore insulin, they become insulin resistant. And if left unchecked, insulin resistance paves the way to prediabetes and type 2 diabetes. Since diet plays a major role in both blood glucose and insulin levels, one of the best ways to address diabetes is with diet. Can the Mediterranean diet prevent and manage diabetes? According to U.S. News and World Report, the Mediterranean diet is the #1 diet for diabetes because “It’s generally accepted that the folks in countries bordering the Mediterranean Sea live longer and suffer less than most Americans from cancer and cardiovascular ailments. “Diabetes prevention and control” are two additional benefits attributed to the Mediterranean diet. The U.S. News and World Report make it clear that diet isn’t the only way to stay healthy. You also need to live an active lifestyle. But it is disheartening that among the first three foods recommended, you have two very high-carbohydrate foods: fruit and whole grains. The report continues with meal and food recommendations. The first one they give you? “Buckwheat pancakes.” And while buckwheat flour may boast more nutritional value than processed white flour, it’s still flour and it will still increase blood sugar and insulin levels. Can a Keto diet manage or reverse diabetes? So, what is Keto and how does it work? On a ketogenic diet, 5 percent of your calories come from carbs, 15 percent from protein and 70 percent from fat. By restricting carbs and increasing fats, people are able to manage their blood sugar levels and keep insulin low. What’s more, when insulin is kept low, it allows the body to move into a state of nutritional ketosis, which allows the body to burn fat, rather than carbs, for fuel. Much of this fat fuel comes from the passive fat stores in the body. This is why Keto is promoted as a safe way to lose weight. Therefore, in addition to stabilizing blood sugar and insulin levels, Keto also helps people reach a healthier weight, which in turn, helps to reverse prediabetes and even better manage diabetes. Virta Health, a research team that uses well-formulated ketogenic diets, has been able to help many individuals reverse their type 2 diabetes. To be even more exact, 94 percent of insulin users were able to reduce their medications or eliminate them altogether after just one year following the Virta protocol. 60 percent of their patients were able to completely reverse their type 2 diabetes after just one year. But that’s not all. Individuals on their well-formulated, ketogenic plan saw improvement in liver function, a reduction in inflammation, lower triglycerides and more – all by restricting carbohydrates and welcoming more healthy fats into their lives. Type 2 diabetes is a growing problem, and it’s scary to think that within a couple of decades, the world could run out of insulin medication for many diabetics. There is hope, however. It’s possible to manage and even reverse diabetes with the diet you follow.